The first in-game event in Apex Legends will reportedly drop later this week. Players continue to flock to Apex Legends in droves, with 25 million players jumping into the game during its first week. For those who’ve found themselves addicted to Apex Legends, an update was posted today that contains a plethora of exciting news, including an upcoming Valentine’s Day event. 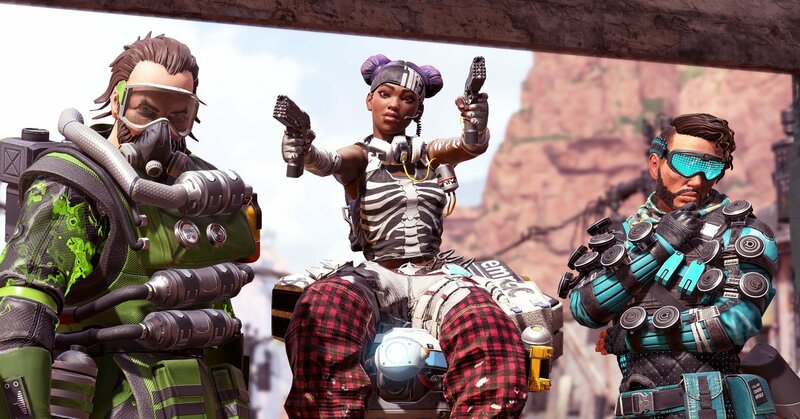 A Valentine's Day event will arrive in Apex Legends later this week according to a new update from Respawn CEO, Vince Zampella. Other notable pieces of information shared in the update include details regarding the Twitch Rivals tournament for Apex Legends. For more on how to watch the Apex Legends tournament as part of Twitch Rivals, be sure to check out our previous guide. The update also confirmed that over 25 million players have jumped into Apex Legends during its first week of release. With the game’s popularity continuing to grow, many have speculated that Apex Legends will surpass the reigning battle royale champion, Fortnite. This already appears to be true on streaming platforms like Twitch, with far more tuning in to watch Apex Legends than Fortnite. As of the time of this writing, over 530,000 people are watching Apex Legends on Twitch compared to Fortnite’s viewer base of 108,000. Of course, only a week has passed following the release of Apex Legends, so it’ll be interesting to see whether the game’s numbers continue to hold steady, or go on to set new records in 2019. After reading through the latest Apex Legends update, what do you think of the game? Are you looking forward to the Valentine’s Day event, or are you more interested in the Apex Legends tournament on Twitch? Let us know down in the comments below! Apex Legends is free-to-play and available on PC via Origin, PlayStation 4, and Xbox One. For more on Apex Legends, be sure to check out some of our previous guides including when the Season 1 Battle Pass for Apex Legends is scheduled to begin, how to play Gibraltar in Apex Legends, and how to track your stats in Apex Legends.